We recently designed and manufactured this bespoke radiator cover with bed frame for a client. 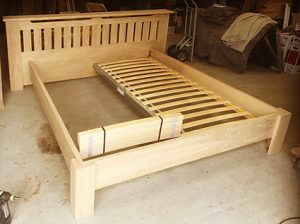 The headboard/radiator cover is vented top and bottom to allow a good air flow, and has vertical ‘slats’. 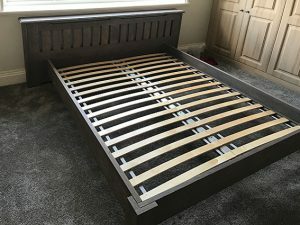 The radiator cover, bed frame and blanket box was stained a ‘smoke’ finish. 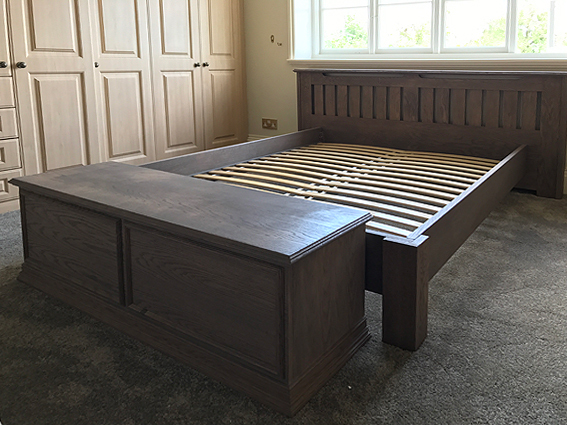 Blanket box for end of bed c£550. 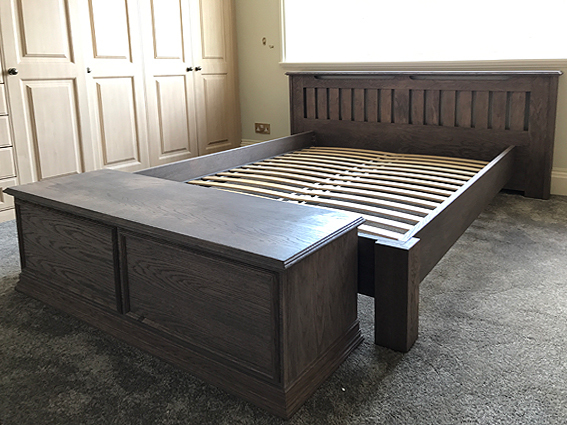 We can also make the end of the bed with an integrated blanket box if required. We also make end of bed TV cabinets with integrated lift for TV, again to match the bed if required.